The woman who is the grandmother to most of us -- Maude Mae Sisson -- is the daughter of William Sisson and Catherine Vanosdall, who married in 1872 when he was 54. His 1902 obituary. 1. neighboring property to John Fry was owned by F.W. Scisson or F.W. Scisson. Is there a relationship? 2. immigration and naturalization documents haven't been located for William. 3. was William married before Catherine? His age is one indicator that he might have been. So too are Ohio marriage records showing a William Sisson marrying Orpha Knapp in Greenwich in 1835. 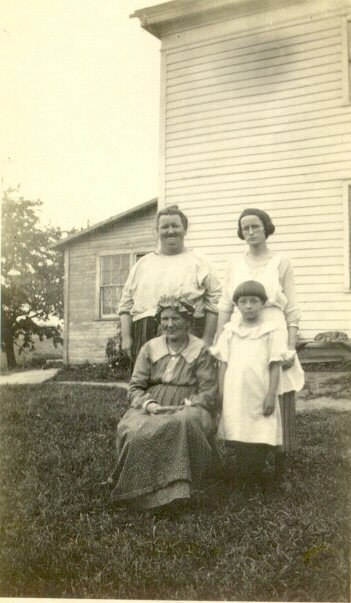 * Maude Mae Sisson (standing L) and her mother Catherine Vanosdall Sisson (seated). The other two on the right are unidentified. 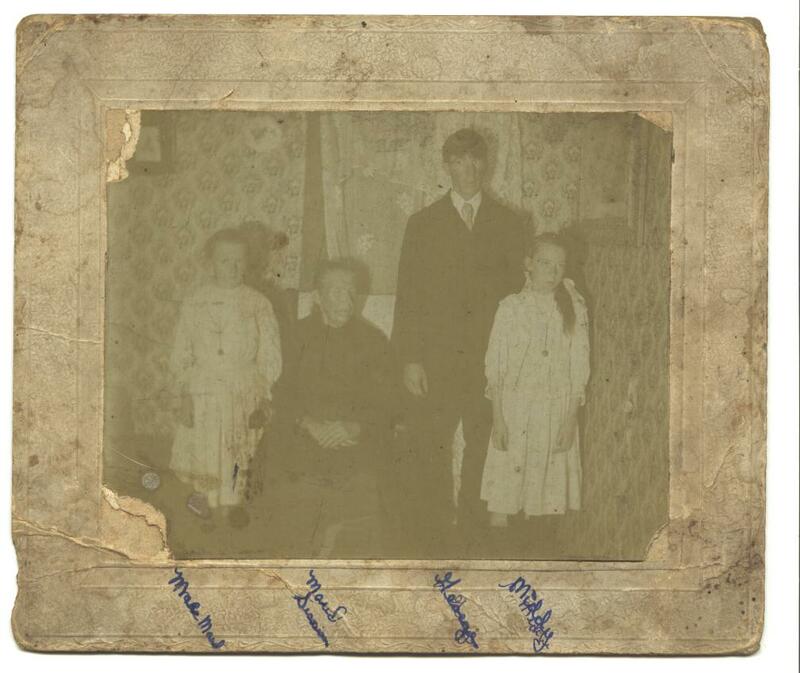 * Though this photograph is clearly marked as "Maude Sisson" and identifies three children, it is unclear if they are her grandchildren or who they are. * Catherine Vanosdall Sisson's death certificate from May, 1928. * In what appears to be a wedding photo, Clarence Sisson and Leona Nelson. 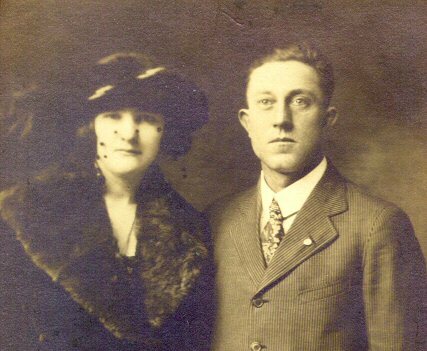 Mary Leona Nelson and Clarence were married on Oct. 12, 1922. According to their marriage records, they were living in Jeromesville, OH and he was working for the railroad. Leona would marry Montgomery LeRoy Fry after her divorce from Clarence. Clarence was the son of James William Sisson -- Maude Mae's brother and died in 1934 of a self-inflicted gunshot. * Raymond Friend, taken at Donkin Studios, Atlantic City, NJ. "Ray" is Corporal T-5 George Raymond Friend, a grandson of Permilia Anna Sisson (Maude Mae's sister). Friend died Feb. 8, 1944 in Italy. 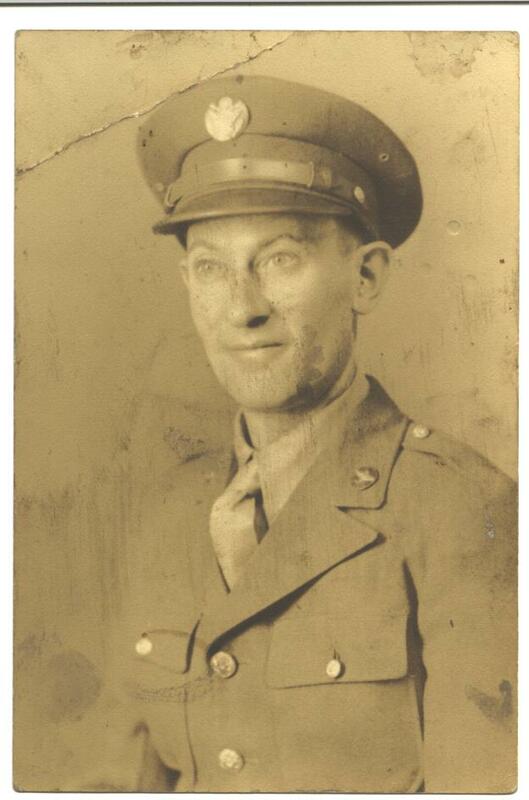 Inducted into the U.S. Army in mid-1942 and served with the coast artillery, then was deployed to North Africa in March, 1943. Friend, who is a second cousin to most of us, is buried in the Savannah Cemetery.